If you have been putting off going to the dentist, dealing with pain day in and day out, feel as if you are just too busy to take care of your dental needs then your life is about to change! Do not hide your smile anymore. You owe it to yourself to show off that smile you have always dreamed of! We are one of the few restorative dental offices in Oklahoma that are certified to administer both intravenous (IV) and oral (pills) sedation for all dental procedures. We look forward to meeting you. Please contact us know if you have any questions or concerns or if you would like to schedule a visit. I earned my Associate's Degree at Murray State College, a Bachelor's n Biology/Chemistry from Southeastern Oklahoma State University, and my Doctor of Dental Surgery from The University of Oklahoma, College of Dentistry in 2002. Dentistry is changing every day and I take pride in pursuing the very best Continuing Education courses each year. I strive to take care of every single patient that I encounter and treat them like they are a part of my own family. 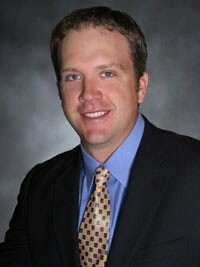 I am one of the few dentists in Oklahoma that is licensed in IV Sedation and Implant Surgery. I want our patients to experience the very best dental treatment. Since 2002, I have served patients with the very best comprehensive, restorative, implant placement, sedation dentistry and cosmetic dentistry in my private practice. Away from the office I love spending time with my wife, Stephanie and our two boys, Jace and Landry. 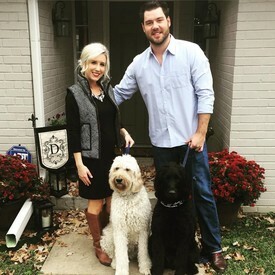 We enjoy spending time on Lake Texoma and attending Dallas Cowboys and Oklahoma State Football Games. I am an avid hunter and fisherman. I also own a herd of registered black angus cattle, the boys love helping their dad on the weekends. Thank You for instilling your trust in me. I look forward to meeting you! After graduating from Oklahoma State University with a bachelor's degree, I earned by Doctor of Dental Surgery at The University of Missouri at Kansas City. 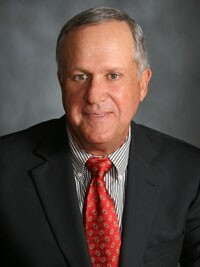 I opened my private dental practice in 1971 in Durant, Oklahoma. 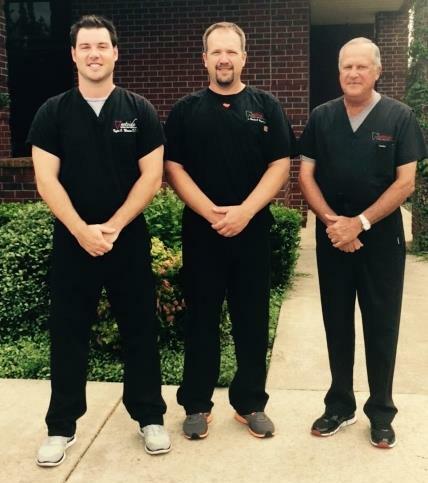 With the help of Dr. Brandon Beaver, Dr. Taylor Marcum, and our entire team at Westside Family Dentistry we have surpassed my initial dream of what an ideal dental practice should be. I thouroughly enjoy interacting with our patients every day and working with our team. We strive to maintain a warm and friendly atmosphere in our office. We want you to feel like you are a part of our family. Away from the office I enjoy spending time with my wife Joanne. We have three children, Carroll III, Heather and Raquel - and two grandchildren, Addi and Cameron. I love golfing, fishing and hunting when I am not working. I would like to say Thank You for your trust in me over the years. I look forward to seeing you soon! I earned a Bachelor's of Biotechnology Degree at Southeastern Oklahoma State University , and Doctor of Dental Surgery from The University of Oklahoma College of Dentistry in 2013. Upon graduation, I completed a one-year residency in advanced general dentistry, with a focus on implants and cosmetic dentistry. I enjoy spending time with my wife Heather, I am an avid sports fan, and love being outdoors. I am excited to get to know all of our patients at Westside Family Dentistry. I love practicing general dentistry and can treat most dental conditions. Taking care of patients with a comprehensive approach to their dental situation, and feeling like they're a member of our own family, really captures the essence of Westside Family Dentistry.